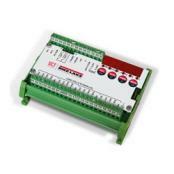 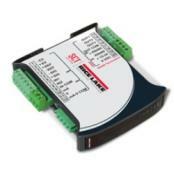 Use these Signal Conditioning Weight Transmitters to connect a load cell to a computer, PLC, or process control system. 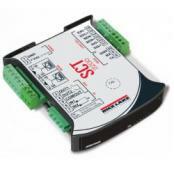 For PLC systems that require weight data from a scale, compact SCT transmitters deliver equivalent signal conditioning function without the cost or bulk of a full size weight indicator/controller. 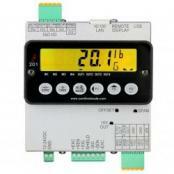 Rice Lake SCT-10 Signal Conditioning TransmitterEach Rice Lake SCT-10 signal transmitter is DIN Rail mountable within a cabinet or control panel, where it serves to convert a scale’s load cell signals to analog output, serial output, or a specific network protocol. 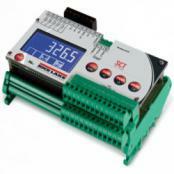 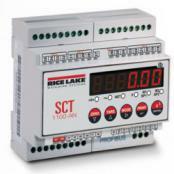 Unlike many other signal transmitters, Rice Lake’s SCT has its own 0.3 inch weight display.